Sometimes, holidays can be a bit stressful – airports, transfers and of course battling with other tourists all the time. However if you choose carefully, the relaxed laid back holiday doesn’t have to be just an all-inclusive hotel and swimming pool. There can be a balance, there are places which are fairly laid back but still offer an interesting and varied holiday destination. One of those is definitely Brittany in France. There are all sorts of things to do in Brittany, and many people consider it the ideal family destination in France. But don’t take our word for it, just check out the various travel shows that you can watch on France TV direct and you’ll see an area that is perfect for an interesting and varied holiday. 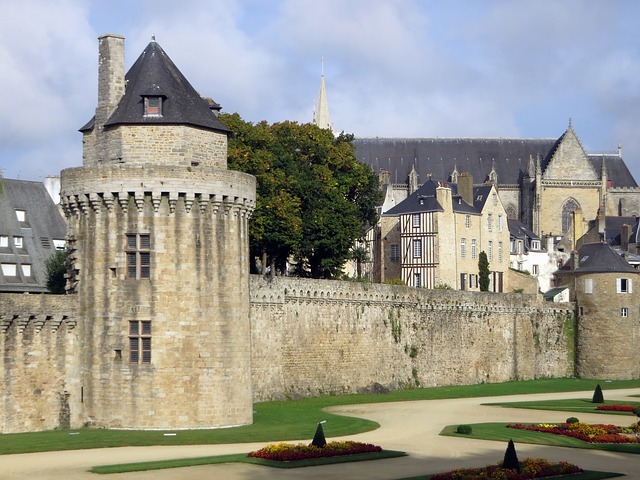 A great base for exploring Brittany is the walled town of Vannes which is probably Brittany’s most beautiful town. It lies in the Gulf of Morbihan and is one of the most stunning medieval towns in the whole of Europe. As you walk in through the main gate, you’ll see the Porte St-Vincent Ferrier which was named after a monk who died in the town in 1419. The monk actually became the patron saint of the town and is still buried in the St Pierre Cathedral. This area is surrounded by some stunning town houses many of which have had their ground floors turned into cafes. This is a good place for lunch as the area also face Vannes’ marina. One of the best times to visit Vannes is when the open air market is in full swing, which you can find out on their tourism website. It’s at the Place des Lices at the bottom of the Rue St-Vincent. A few hundred years ago you’d have found jousting tournaments. Don’t miss the famous Mr and Mrs Vanne who are carvings on one of the half timbered houses here, there’s usually a few tourists taking photos if you can’t spot them. For history buffs, there two museums within the town walls – the Chateau Gaillard which covers mainly archaeology and the history of the town. At La Cohue you’ll find a building which previously hosted a 13th century parliament and the Breton Parliament in the 17th Century which now is home to Museum of Fine Arts.